It is a mistake to neglect our colonial past. We should not want to become like Japan, a nation that deliberately chose to forget the shame of the second world war. Japan has never apologised in the same way as Germany for its actions during the war, and has often seen itself as the victim of the conflict rather than the aggressor. In Britain, we haven’t truly processed our colonial history, and we should remind ourselves of it. One way cultures remember and digest the past is through stories, which is why the best of these colonial adventure stories deserve to be reread, in all their awkward ambivalence. . . . It is also why British writers should . . . tell stories that will illuminate parts of the colonial experience, particularly for an increasingly uninformed domestic audience. Postcolonialism throws up difficulties for western writers, but it can also open up new routes into stories about it. *The nomination of The Act of Killing for an Oscar has put Indonesia’s bloody past into the forefront, connecting the anti-communist killings of the late 1960s with today’s modern-day gangsters and paramilitaries. Regardless of the content – and the film does have ethical and representational flaws – the main impact of the film is its symbolic value in Indonesia. The Act of Killing shows that the legacy of the mass murders of 1965 should not just go away. The killings need to be confronted as part of a conversation that is both national and international. *Over at Stumbling Through the Past, there is a great post on the problems of archives and covering up the imperial past, in this case, the British Empire’s crimes in Africa that for so long had remained ‘forgotten’ in the Foreign Office archives. The Forum has also recently explored some of the darker sides of empire and archival secrecy. In his hearty tenor, Mr. Seeger, a beanpole of a man who most often played 12-string guitar or five-string banjo, sang topical songs and children’s songs, humorous tunes and earnest anthems, always encouraging listeners to join in. His agenda paralleled the concerns of the American left: He sang for the labor movement in the 1940s and 1950s, for civil rights marches and anti-Vietnam War rallies in the 1960s, and for environmental and antiwar causes in the 1970s and beyond. 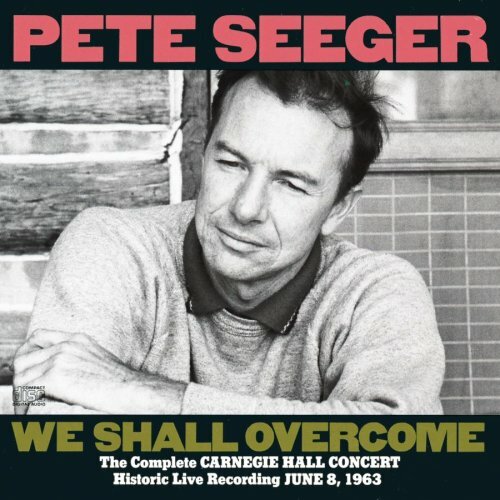 “We Shall Overcome,” which Mr. Seeger adapted from old spirituals, became a civil rights anthem. Here is Bruce Springsteen singing ‘We Shall Overcome’ in tribute to Seeger. Any other weekend reading recommendations? Thanks for the link to a great story of Seeger! I happen to be a longtime fan of Paul, WIlliams, and Gorka, all regular visitors to my hometown of Austin.